J&E Lawnscapes has been providing us with our lawn service for several years. Their spring clean up has always been done with the utmost perfection. The quality of their flowers, shrubbery etc is excellent. The weekly lawn service is great. They leave nothing behind except a gorgeous lawn. Any questions or concerns are handled without delay. 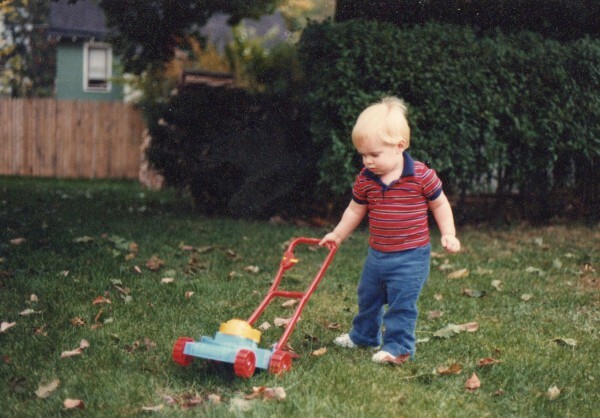 From day one J&E Lawnscapes have been wonderful to work with. They have always done exactly what they promised, always on time and nothing is ever too much trouble. I would highly recommend them and wish them all the best. We would very much like to be put onto your 2009 lawn-cutting list. We were very happy with your service last year, you were reliable, responded to specific needs that we had for new grass and cleaned up beautifully. We anticipate that you will provide the same reliable service this year and look forward to working with you. I think Josh and his crew do an amazing job! In fact, I was just getting ready to call him for some Spring work. I have already recommended him to many friends and neighbors. J&E Lawnscapes has done Spring and Fall cleanups, routine lawn maintenance and a couple of special projects at our West Chester home for several years. Josh Burry and his crew show up when they are supposed to be here and do everything we ask them to do. Their pricing is reasonable and we are thoroughly satisfied. J&E Lawnscapes will be taking care of our yard again this year.